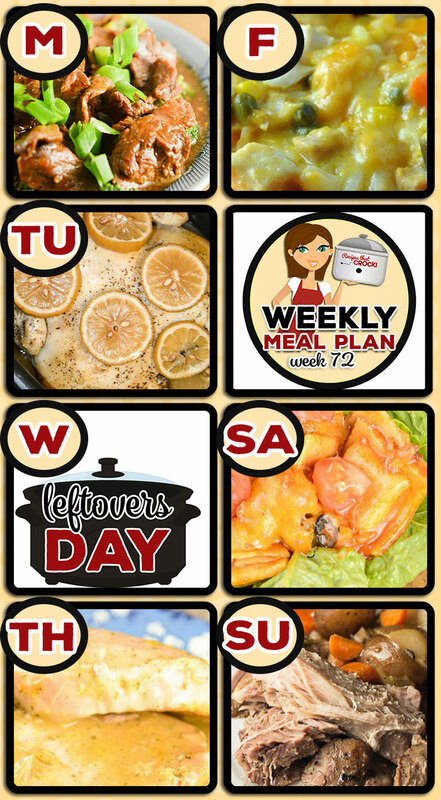 Meal Planning: Weekly Crock Pot Menu 72 - Recipes That Crock! 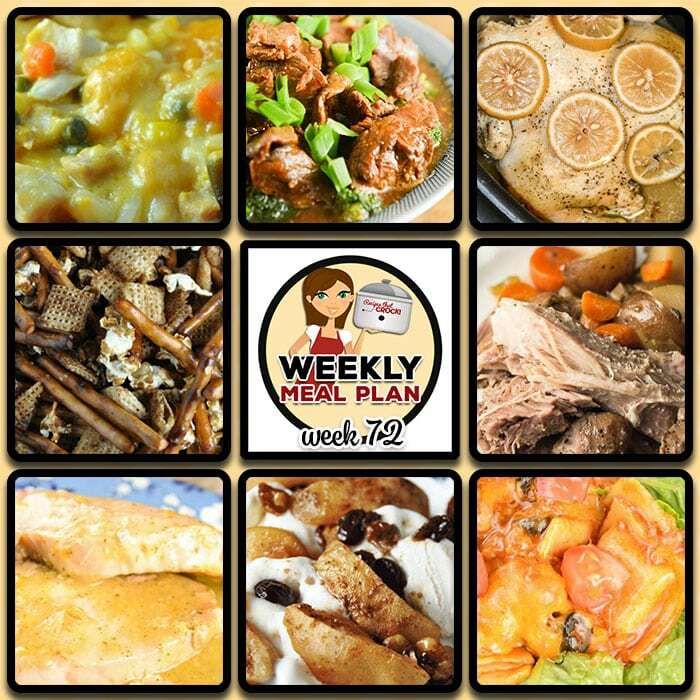 This week’s weekly menu features Easy Crock Pot Mongolian Beef, Crock Pot Lemon Pepper Chicken, Crock Pot Cheeseburger Soup, Crock Pot Creole Pork Chops, Crock Pot One-Pot Chicken Casserole, Crock Pot Taco Ravioli Casserole, Crock Pot Pork Roast and Veggies, Crock Pot Firecracker Party Mix, Crock Pot Baked Apples and Crock Pot Cheesy Bacon Casserole. We just had guests and I made the crock Pot French Toast. This was a major hit! Hey asked for the recipe. My husband loved it, too. Said even he could make it.LOL. Thank you for all these wonderful recipes. So glad you enjoyed it Linda!! Just a quick question: don’t you rinse the pork chops before putting them in the crockpot? Or maybe you don’t have to if they are boneless.